11 Things You’ll Totally Get If You Just Can’t Help Being Late! You always try and try...but somehow you fail. Not in life - just as far as being on time is concerned! It almost feels at this point as if it is completely out of your control. Here are a few things you will absolutely get if you just cannot help being late - always! 1. If you text someone saying “I’ll be there in 5 minutes”, you know and they know that it probably means that you’re just heading in for a shower! 2. Which is why all your friends have started telling you that you’re supposed to meet them an hour before the actual time. But you’ve kind of figured this out… Ooops. 3. The problem is not that you take ages to get dressed, like most people think, but rather that you start late! Damn those comfy pajamas and that cosy bed. It’s all their fault! 4. You can’t help but binge-watch a TV series once it starts. So obviously, if you watch an episode of Keeping Up With The Kardashians, you need to watch another and another. And there, it’s way past the time you were supposed to be at that family dinner! 5. If you happen to arrive anywhere on time, you’re always greeted with an “OMG, look who’s here!” or sometimes even a slow clap. 6. You’ve finally given up on trying to come up with an excuse every time you’re late - because that’s like every day! “Sorry I’m late” is the best you can do anymore. 7. And to be honest, everyone kind of expects you to be late anyway. So they’ve stopped minding! 8. On days when you actually leave early and think you’re going to make it on time, something always goes wrong! Something that is not in your control will delay you - and that feels more painful than a heartbreak! 9. Whether or not anyone believes it, you genuinely have really, really bad luck with traffic! If there is a jam in the city, you’re in it! 10. You’ve tried that whole *setting your clock 5 minutes early* thing. Doesn’t work. Your brain knows that you still have another 5 minutes before you need to start panicking! 11. You kind of always overestimate how much time you have. But, hey, that’s only because you’re so optimistic! GIFs: Giphy HAVE A STORY IDEA FOR POPxo? If you want to hear about it, we can write about it! Just tell us your idea here! MUST-READ: 9 Things You’ll Get If You Can’t Show Your Emotions Too Easily! 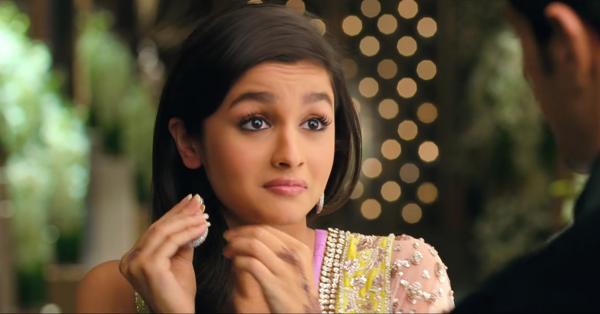 MUST-READ: 12 Things You’ll Totally Get If You Always Speak Your Mind!